Let's put the heart into 82045! The steam locomotive has been described as Man's most human creation: a machine that lives and breathes and has warmth at its heart. Perhaps that is why steam locos remain so close to our hearts, so many years after BR decided their day was done and proceeded to get rid of them with such indecent haste. At Bridgnorth, the independent charitable Trust building a new steam locomotive, Riddles BR Standard Class 3MT 2‑6‑2 tank no 82045, is starting to sense the day when its job will be completed. The wheels and cylinders are on the way, motion components have been costed, and tanks, cab and bunker can be fabricated relatively inexpensively. 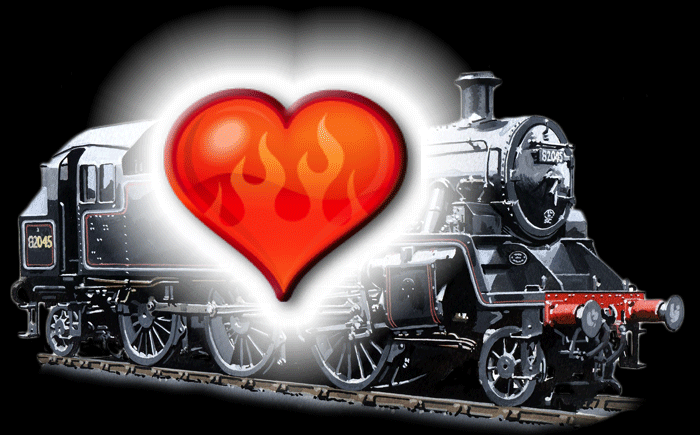 The main item still missing is the boiler – the mighty heart of the loco. We estimate the total cost of the boiler and firebox, which are to be built to traditional British standards, at about £300,000, so the sooner we bite the bullet and start saving, the better! The Wheel Appeal has been a fantastic success, and thanks to a number of generous members, there will soon be enough money in the boiler account to fund the boiler barrel. We seem to have hit the ground running, so now we need to do all we can to maintain the impetus towards giving 82045 its heart. This is where you can help. If your heart hasn't yet been moved to join us, please think about it now. Donations of any amount will be gratefully received, and best of all is to start a monthly standing order into the Trust's dedicated Boiler Account, details of which you will find on the form. We have built up huge momentum over the past five years, and have every reason to hope that our task will be accomplished within the next five and that 82045 will soon be working alongside the other members of the steam fleet. Shining and new, in dark green livery lined out in orange and black, but with a repaint into lined black (as above) on the cards in the future, this modern, efficient engine will be a stunning asset to the SVR and will be in great demand from other heritage lines. That your Railway needs 82045 is beyond doubt, so please help ensure that the Trust delivers it as soon as possible. The engine will always remain under the control of a charity, and there is no question of its ever being the means of capital gain, whether personal or corporate. It is not our wish that new build locomotives should supplant their older sisters. Rather, we believe that their role is to supplement them, making life easier for them – and, hopefully, keeping their warm hearts beating for many more years to come.